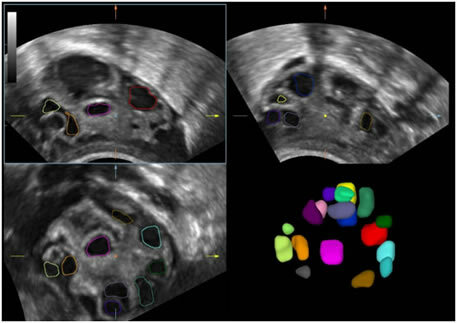 Mindray’s brand-new solution is an excellent fusion of continuous customer insights into clinical needs, combined with continually evolving cutting-edge ultrasound technologies. Full of vitality, with the goal of insight into the future and pursuit of the infinity, it is constantly improving with increased scalability. 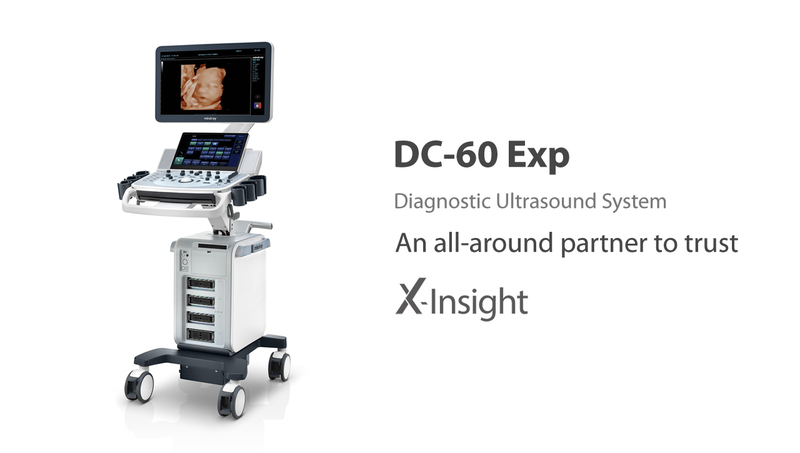 As an all-around partner, DC-60 Exp with X-Insight devotes to provide a comprehensive solution to help you manage all-aspect daily clinical practice with ease and certainty. Based on the deep insights of customer needs, the DC-60 Exp with X-Insight is designed to deliver high efficiency with precision imaging, which is empowered by eXpress Clarity, eXceptional Intelligence and eXceeding Experience. Compared with traditional transducers, ComboWave transducers utilize a new type of composite piezoelectric material to dramatically optimize the acoustic spectrum and reduce acoustic impedance. Further integrated with Mindray unique 3T technology, the ComboWave linear transducers allow you to experience outstanding performance with extreme image resolution and uniformity in thyroid, breast, vascular, and more. Combining with Mindray unique 3T technology (Triple-matching layers, Total-cut design, Thermal control), the optimized convex, phased array and volume transducers provide a wider full range application coverage, resulting in an optimum scanning solution in ABD, Cardiology, OB/GYN and more. 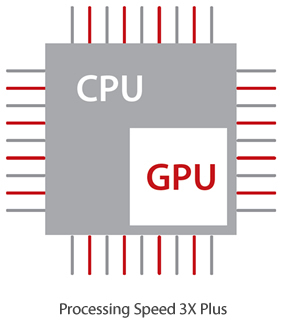 The new X-Engine utilize the evolutionary integration of GPU and CPU to enables multi-core parallel processing for fast imaging. With the advanced imaging engine, the imaging processing speed is accelerated three or four times faster than traditional processing, resulting in extremely fast imaging for 3D/4D and other applications. By the integration of Solid-State Disk (SSD), DC-60 Exp with X-Insight provides the ultra-speed data transmission capacity to accelerate the system operational speed, for instance, faster imaging, quicker boot-up or wake-up. And the SSD is able to extend the data life-time of ultrasound system, which enhances the protection of patient data with safety and privacy guarantee. Smart Planes CNS is a user-friendly to improve through-put, and reduced user dependency. 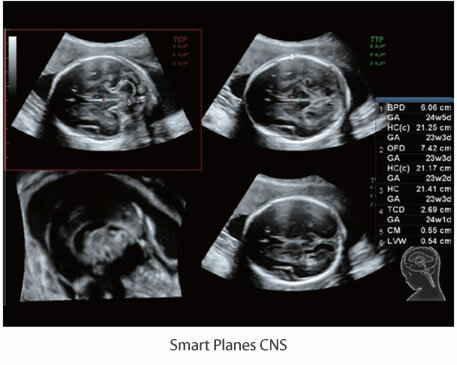 With a simple button-click on a 3D fetal brain volume image, the standard CNS scanning planes (MSP, TCP, TTP and TVP) and a range of related anatomical measurements (BPD, HC, OFD, TCD, CM and LVW) are obtained immediately with high accuracy, which reduces about 90 Second per exam. Automatically detect the number and calculate the volume of follicles from a 3D volume image. Auto measurement of fetal parameters: trace and calculate the BPD, OFD, HC, AC and FL on a single click.